DREAMFALL, the first book of her YA horror duology, will be released by HarperTeen in summer 2017, with the second book, NEVERWAKE publishing in summer 2018. 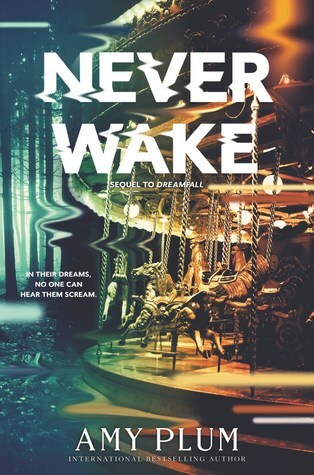 In the new books, a radical experiment to cure chronic insomnia goes wrong, and its seven teenage test subjects are plunged into a shared coma populated by one anothers nightmares; those who die in the dream will also die in real life. After being raised in Birmingham, Alabama, in a rather restrictive environment, AMY PLUM escaped to Chicago to an even more restrictive environment at a university that expelled people for dancing. (And where she was called to the deans office for wearing too much black.) After all of that restrictiveness, she was forced to run far far away, specifically to Paris, France, where she only wore black and danced all she wanted.